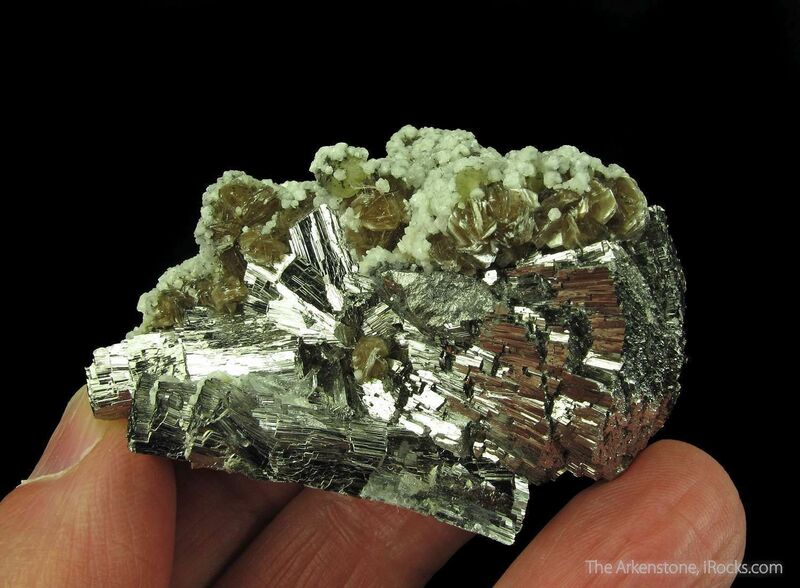 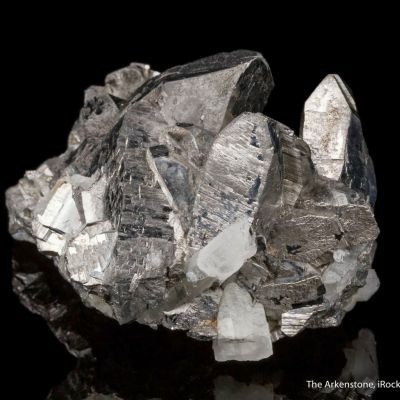 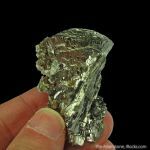 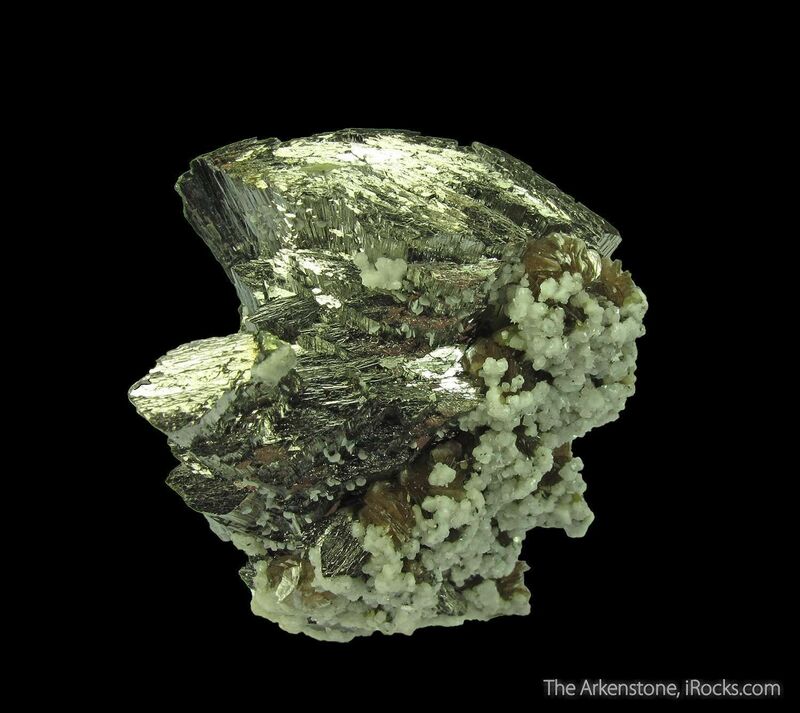 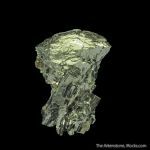 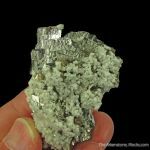 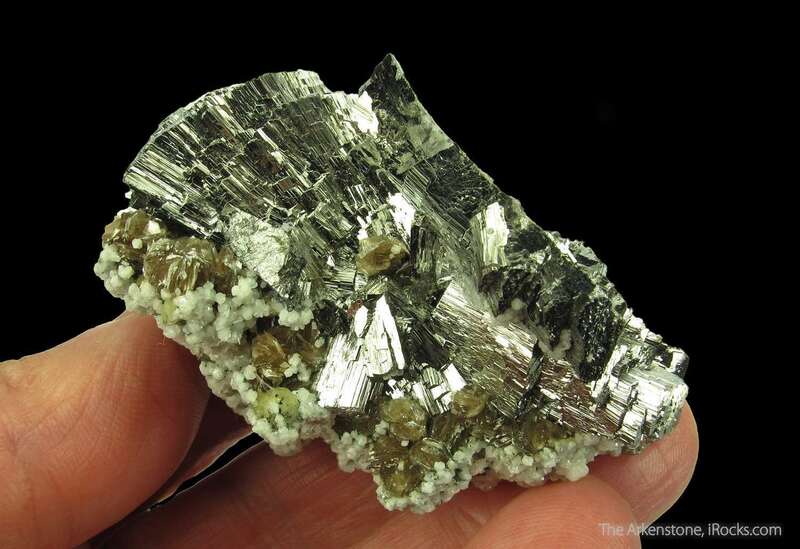 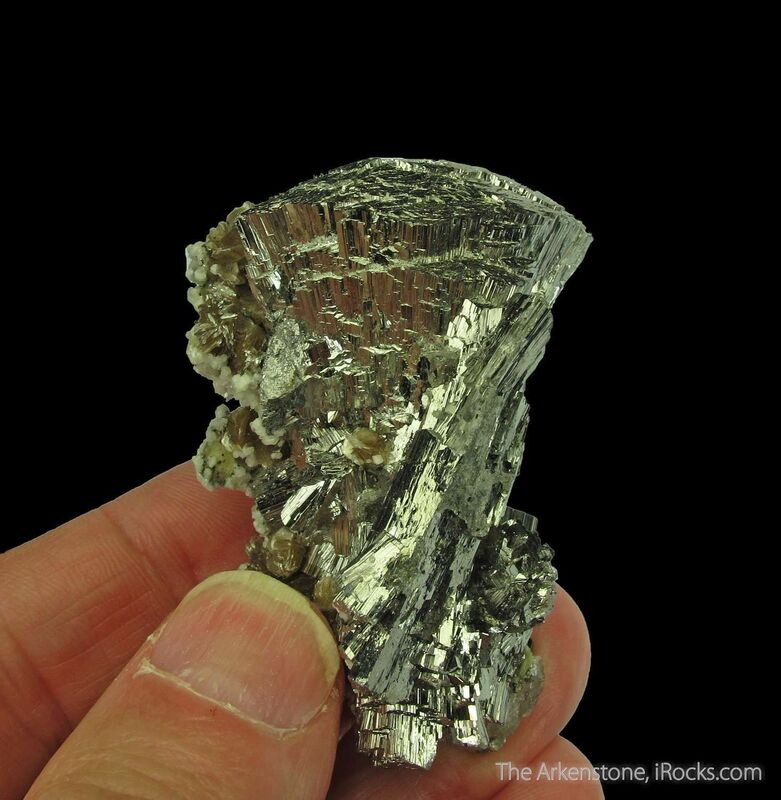 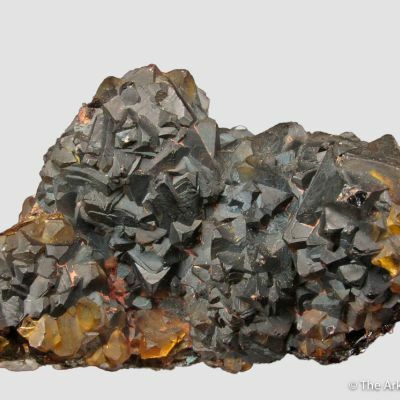 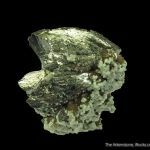 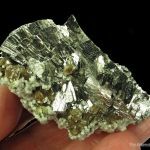 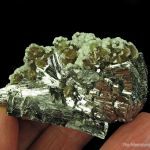 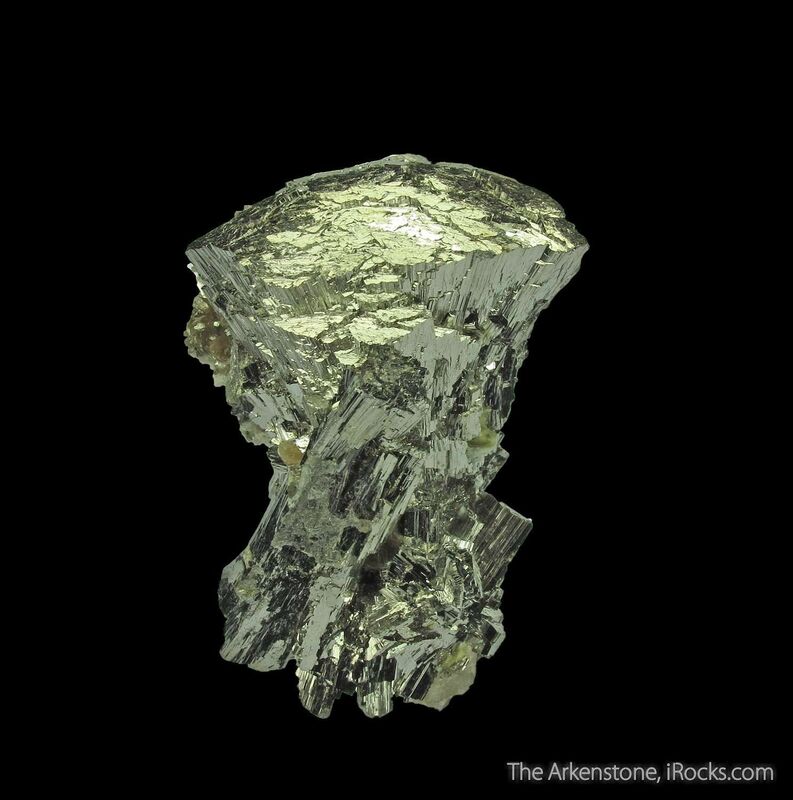 This Arsenopyrite is a simply stunning miniature that leaps out - superb for form, brilliant metallic luster, and its mineral combination. 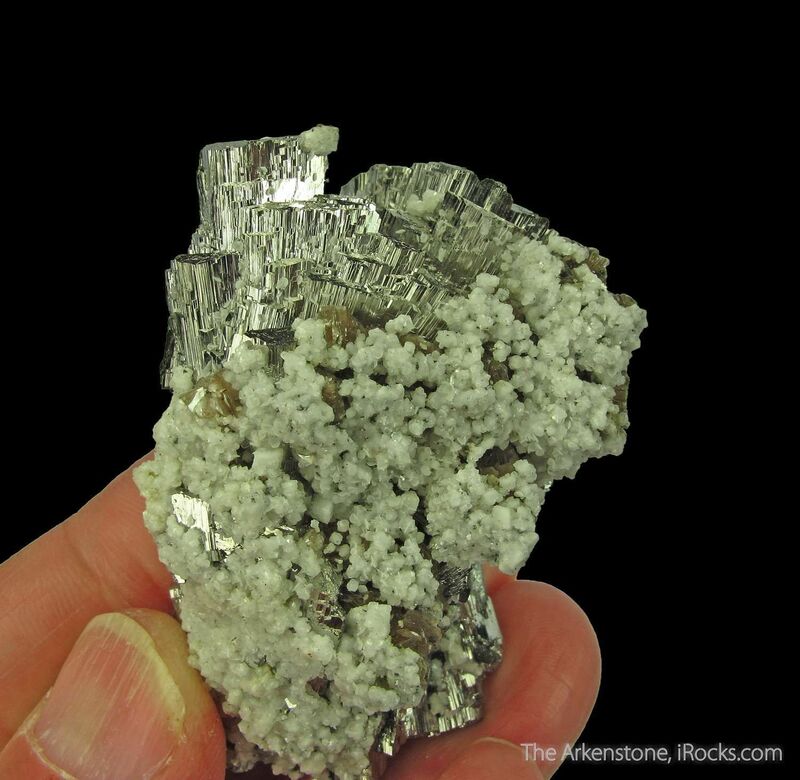 The curved tabular Arsenopyrite crystals combine into clusters with a gorgeous wheat sheaf habit, and the luster is mirror-like. 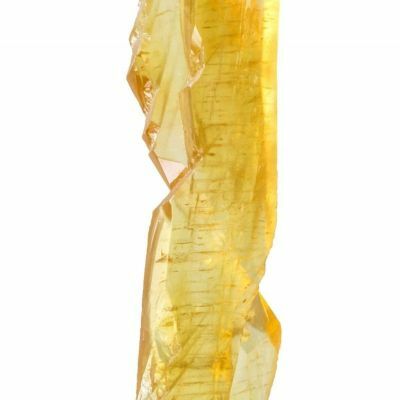 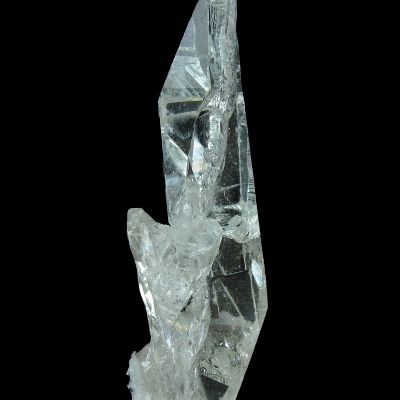 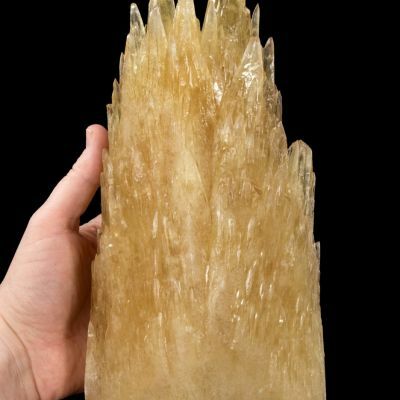 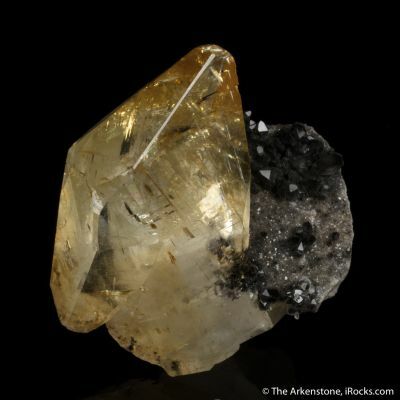 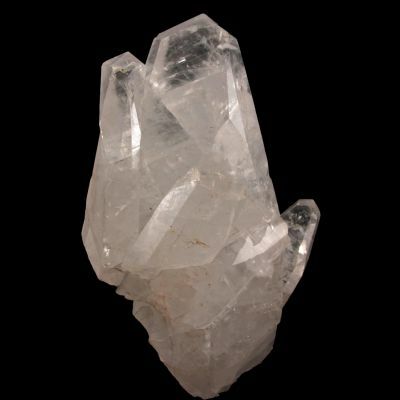 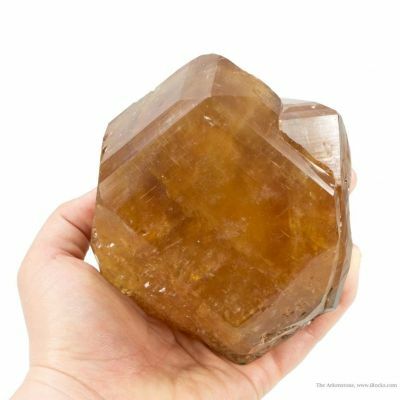 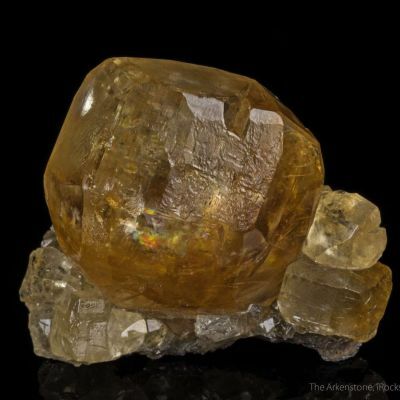 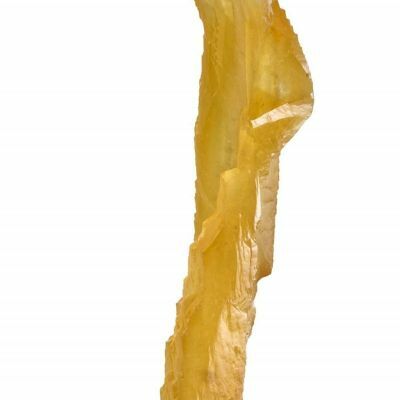 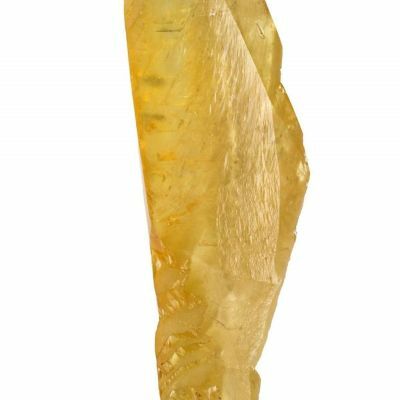 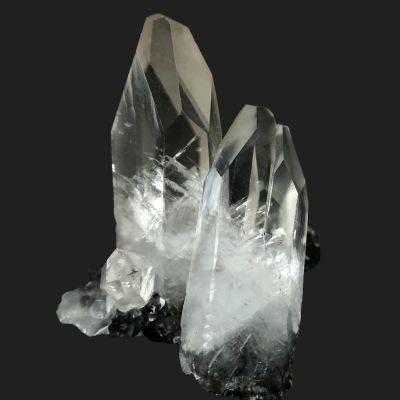 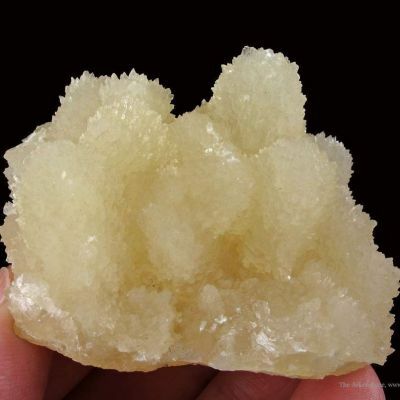 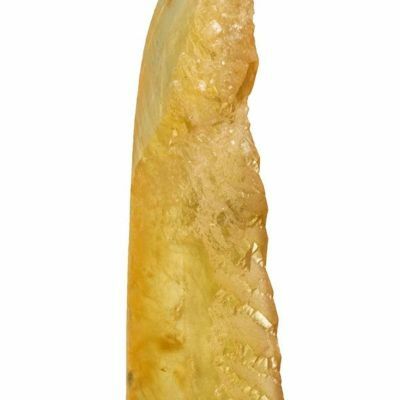 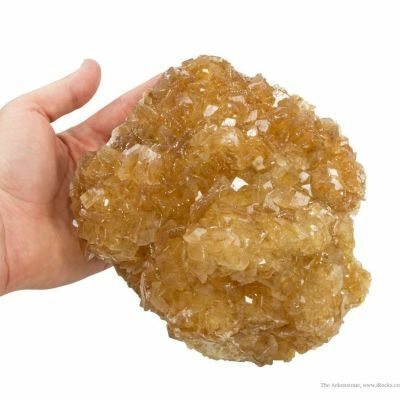 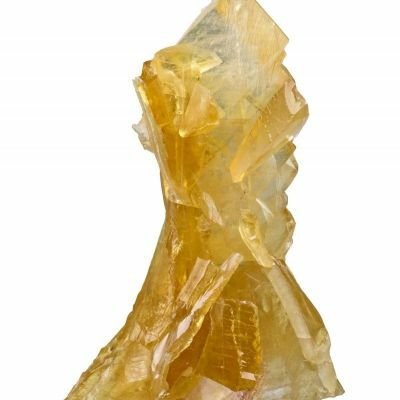 The largest crystal is about 4 cm. 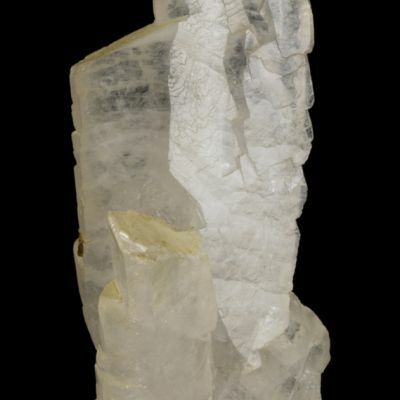 It is nearly pristine - there is only a teeny ding only just spotted, on a back corner. 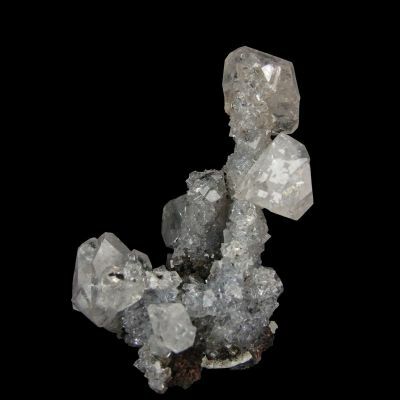 These are combined with mm-size white Calcites and medium-brown Siderites up to 3-4 mm across. 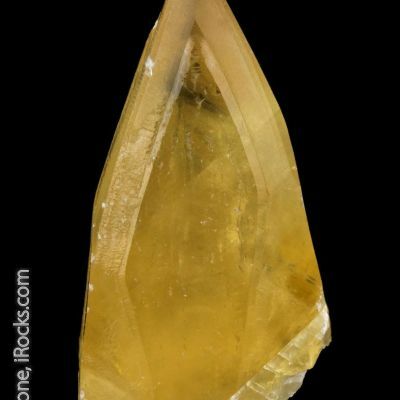 This is a classic Panasqueira specimen, and is actually better in person, even.